On October 30th, CUPE members converged in Ottawa to urge Members of Parliament and Senators to support Bill S-252, the Voluntary Blood Donations Act. The Act has passed second reading in the Senate. It will now move to committee and have a public hearing. The lobby brought 50 activists, from different unions and organizations including BloodWatch, to Ottawa from across Canada. Lobbyists met with 100 parliamentarians to argue for an end to the proliferation of private, for-profit plasma clinics. 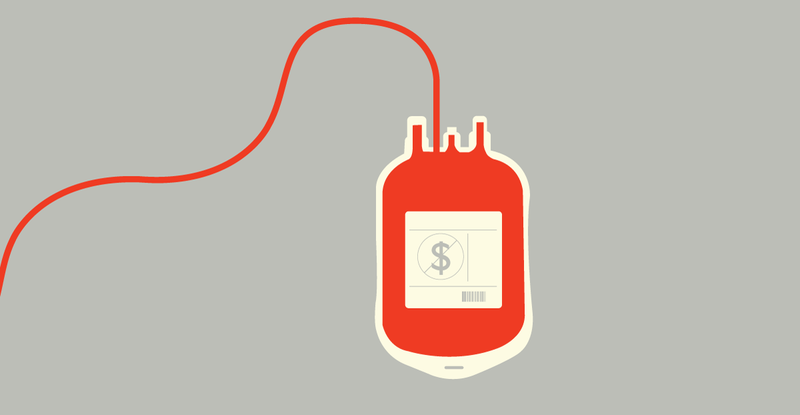 These clinics are cutting Canada’s base of voluntary blood and plasma donors. Private, for-profit plasma clinics currently operate in Saskatchewan and New Brunswick. There are another 18 clinics waiting for Health Canada to approve the licenses they need to open. CUPE members are fighting to ensure this doesn’t happen. On Tuesday, they not only called on parliamentarians to support the Voluntary Blood Donations Act, they also asked for a full moratorium on licensing private blood brokers. British Columbia, Alberta, Ontario, and Quebec have already banned paying people for their blood and plasma. They’re supported by Canadian Blood Services, the World Health Organization, the International Federation of the Red Cross and Red Crescent Societies, the International Society of Blood Transfusion, the European Blood Alliance, and the International Plasma and Fractionation Association. The Voluntary Blood Donations Act will ensure that blood and blood products remain a public resource and our blood donation system remains public and voluntary. Our members’ lobbying efforts moved us a step closer to achieving this important goal.